DevilishGames and the publisher Hidden Trap announced today that have reached an agreement to bring Path to Mnemosyne to game consoles and they announce it with a new teaser. Initially the game was born as an experimental project for PC, but after some positive reception, DevilishGames joined with Hidden Trap to bring Path to Mnemosyne to video game consoles. 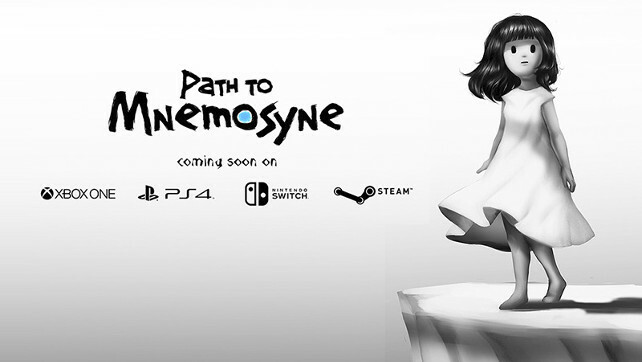 According to a release, Path to Mnemosyne is a hypnotic adventure created with a infinite zoom in which the player must advance through a path full of imaginative puzzles to recover the lost memories of the protagonist. Path to Mnemosyne‘s mysterious story, minimalist narrative and disturbing graphics and sound sections ensure a bizarre and memorable experience for the player. The game is currently in its final development phase in its PC version and is scheduled for release in the second half of 2018. No word on when the console version will be released.